Content marketing has a lot of different benefits – it’s great for raising brand awareness, improving engagement on your website and on social media, it offers great value to your visitors and it can increase customer loyalty and retention. Another great benefit? It’s a great tool for lead generation. Create great content, promote it the right way, to the right, targeted audience and the leads will come to you more easily. 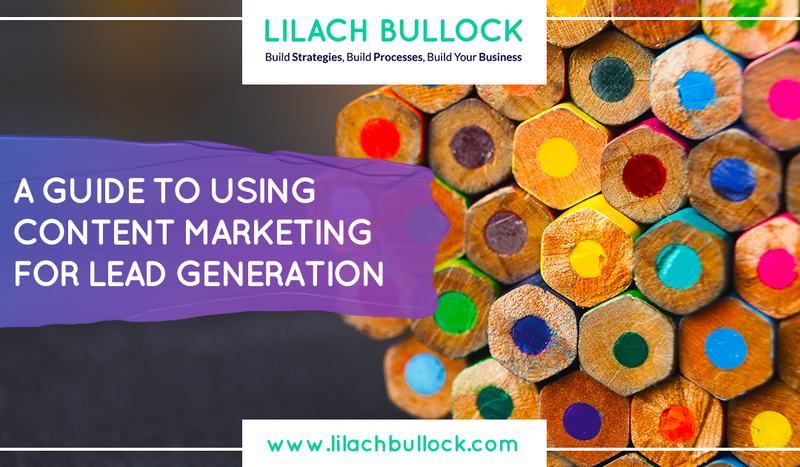 In this blog post, I’m going to share my top tips for how to use content marketing for lead generation. Content marketing has been a huge part of my businesses’ success over the years. It’s what helped me grow my presence online, helped me become a social influencer and it’s also one of my top sources for both generating and capturing leads. What’s great about content marketing is that it not only has all of these great benefits, but it also works great for all types of businesses, whether they be B2B or B2C. It’s a big reason why content marketing has become one of the most successful forms of digital marketing in the past few years. Before going any further, I think it’s very important to stress the importance of creating quality content, content that offers real value to your audience. It’s extremely important to know your audience, and what matters to them, what they want to read about, what they want to learn more about and so on. This way, you can give them the content they want to consume, and the content that will make them turn into potential leads. Content marketing doesn’t just mean creating a blog that you post something to from time to time; content marketing involves creating a solid strategy with clear goals in mind and then creating the content that will ultimately help you achieve these goals. By creating quality, informative content, you will be able to show your audience that you have the necessary skills to help them achieve their own goals. It will also help you become a thought leader, as you continuously and consistently come up with great, engaging and informative content for your audience and niche; what this means is that ultimately, it will build trust among your audiences and even increase your online influence. One of the main ways that you can boost up your lead generation is by including content downloads in your blog posts. These are much more effective than your run of the mill pop-ups, as they are relevant to the post the visitor is reading, which means they will also convert at a higher rate. They’re also easier to create as you already have the blog post as the starting point. How do they work? Simple: whenever you create a more extensive post for your blog, such as a guide or how-to post, and any other kind of educational post really, try to include content downloads in it to boost your lead generation. For example, let’s say you are creating a guide to content marketing. You can then offer more value to your readers by also including a content download, such as a free template for an editorial calendar, a more extensive guide or a pocket guide that your visitors could download so that they always have it handy for future reference. This way, you are offering more value to your audience than you would with only a blog post, which helps build up a better, more trusting relationship, and, of course, you will also get more leads. As I mentioned earlier, content downloads are relevant to your reader, so it’s safe to assume they are already interested in the subject if they’re reading your post – which means they are much more likely to give out their information to download your freebie, which then means more conversions and more emails generated for your list. Now, I want to give you an example of a quick way to generate leads: through checklists. They’re much quicker to create than many other forms of content (such as e-books, extensive guides or webinars), but they can still offer lots of value to your audience, and are particularly useful for B2B companies. Start by choosing a topic; one of the ways that you can do this is by using your existing or future blog posts and guides. For example, we can use the same idea that we used for the case studies part. 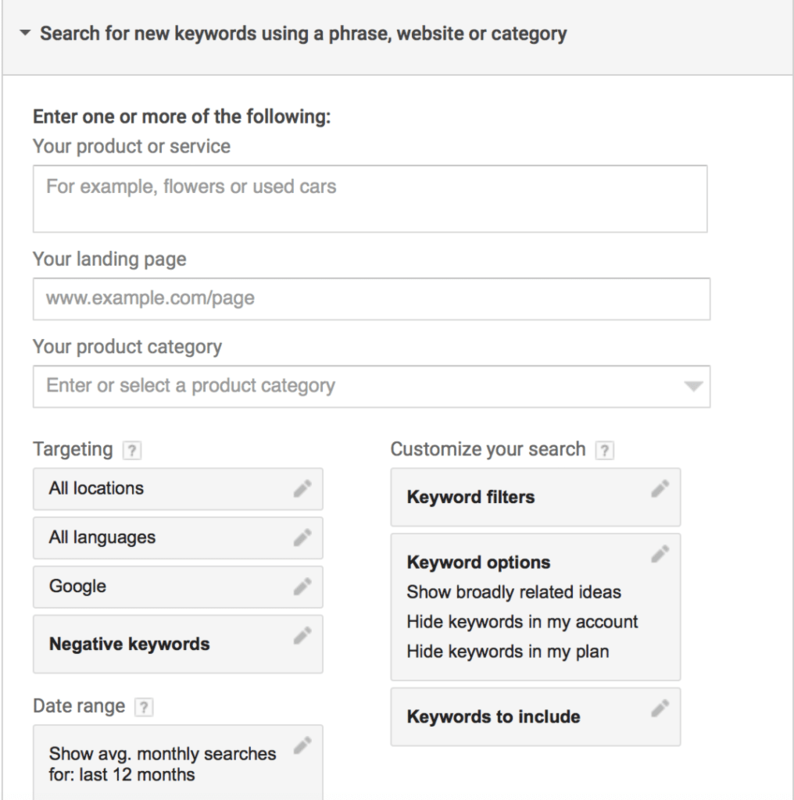 If you’ve written a guide to increasing your traffic through SEO, you can then also create a checklist that your audience can use after reading the guide, to help guide them through the process and to make sure they’re not skipping through any steps. Webinars and online courses allow you to showcase your knowledge in a very practical way for your audience. While you can also monetize these types of content, even when you provide them for free they can be great lead magnets. The reason for this is that you will be providing lots of value to your audience. And when you’re providing lots of value, people are much more willing to give you their information, or to use your products or services. How exactly will it benefit them? Will attending your webinar or online course make a real difference to their success? How? One of the ways that you can find out exactly what your audience wants to learn more about, is to ask your subscriber list: ask them directly what they would be interested in, or give them a few options to choose from and then use the winner for your topic. Next, decide when the webinar or course will take place. This is important, as you will want to start promoting it as soon as possible, in order to get enough attendees. Use your website, social profiles, influencer marketing and any other avenue you can to get people to sign up for it ahead of time. Then, it’s time to prepare yourself for the actual webinar or course. Create a script and a list of all the points you want to touch upon, and make sure to leave some time for any questions from your audience. In some cases, it’s useful to also create some downloadable files that will aid your audience in their learning. Once the webinar is finished, create a survey that will help you see what people thought of it: what did they like? Did they feel like they learned something of value? Would they be willing to take part in another webinar or course from you? What parts did they dislike and why? When creating the post-event survey, you can also use the opportunity to ask your participants what other topics they would be interested in learning more about, as well as what other challenges they are facing – ones that you could cover more extensively in future webinars or online courses. The more you learn about what you did wrong and what you did right, the better your future webinars and courses will be. To go through a list of the top course creation tools, you can check out my blog post here. E-books offer another great way of providing value to your audiences. Just like with webinars and online courses, you could choose to sell them for a price, but an e-book can also help you even when you give it away for free. 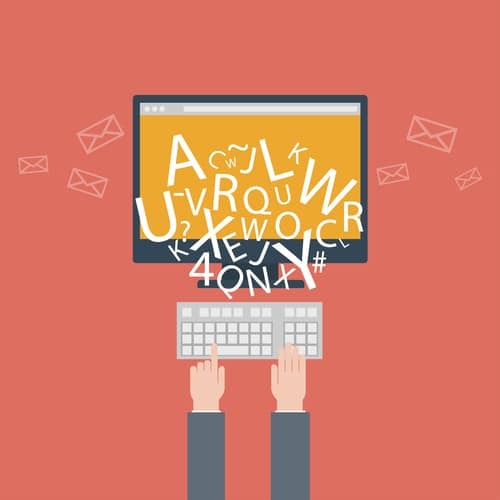 In fact, you might be able to gather more emails, and more information if you do it this way. If you want your e-book to be successful and generate as many leads as possible, you’re going to need to sell it. What actionable advice will they find in your e-book? That said, your e-book will need to deliver on the pitch you made for it, or else you will have disappointed customers, who won’t be coming back for more. Provide them with real insight into the topic you’ve chosen, add many examples and provide them with actionable advice that they can use to further their success. You can also use the opportunity to subtly highlight your skills and how your product or service can help them achieve their goals more easily and more efficiently. To create e-books, there are quite a few useful tools that you can use, such as iBooks Author, My e-Book Maker and Create Space. You can also turn your blog into an e-book, easily, by using a tool like Bloxp or Beacon. This is a great option for those who have been blogging for a while and have amassed a good collection of useful, informative content. Make sure however that you edit your older blog posts where necessary, so that they are still relevant, as well as try to edit the e-book so that it flows nicely, with separate chapters, and links between the different blog posts that you are including. Another way to showcase your knowledge and capabilities is to create case studies. You will not only teach your visitors something, but you will also provide them with a great example of how you can help your customers, and how your customers benefit from using your products or services. You can then even use your case studies on your landing page, to give your visitors better proof of how your product or service works, and why it’s a great option. Case studies help build up trust in your visitors, as they showcase your products’ or services’ value. Another way of using case studies, which is great B2B companies in particular, is to write about a problem that businesses in your niche have, and then create a step by step case study about how you’ve solved that issue. This works great for B2B companies, as it helps you show how you can help other businesses achieve the same results you have. For example, if you have a business specializing in SEO services, you can create a case study about how you’ve doubled your traffic with 10 different steps. And if you are able to add some customer testimonials in there, all the better! The topic: is the topic something that is relevant to your target customer? Will it help them with issues that they are struggling with? Content marketing also has the great benefit of providing lots of SEO value. Quality content will help boost up your search engine rankings, and it can help you get more targeted traffic because of it. In fact, content marketing and SEO are very much overlapping practices, to the point where one doesn’t really exist or succeed without the other. After all, SEO is all about the keywords you’re using, links and the relevancy of your content. All of which, content provides. 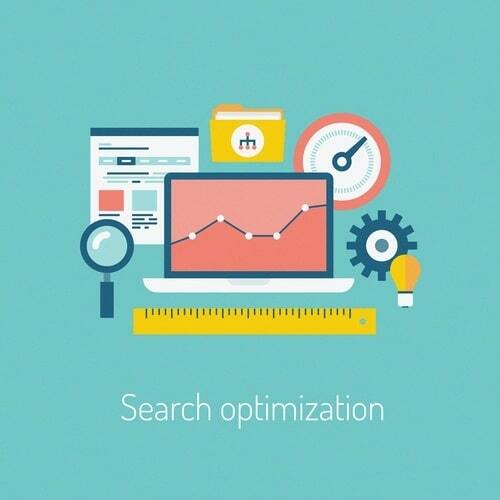 Whenever you’re creating new content, you should always keep search engine optimisation in mind. SEO is not just about tags and metatags or properly indexing your web pages, but also about the quality of your content, the keywords you use and so on. When you create content properly optimised for search engines, you will also improve your content. What search engines love usually works for your visitors and readers as well: using useful keywords, breaking up your content with headlines and sub-headlines, adding visual content, it all helps to create a much more pleasing experience for your visitors. Your content has a huge impact on your search engine ranking – you can check out my guide to SEO for beginners here to learn more about how to improve your content’s SEO and boost up your ranking. You can also use an SEO tool to make your life easier, and to make sure you’re properly optimising your posts, such as the Yoast SEO plugin, or the All in One SEO Pack. Great article. I believe personal branding also helps in Content Marketing as well. Content marketing helps in lead nurturing which is helpful in the middle of the funnel stage. Generally, we attract leads but to convert them into a customer is difficult because of the long sales cycle. This is where lead nurturing comes. Content marketing is important at this stage to engage & educate your leads moving them to make a decision. Thanks for the great tips! I think SEO is the most obvious way that content marketing can increase your lead generation, but downloads (including ebooks) are also a great way to generate leads. Thanks for your content. Also, after reading you I’ve suscribe to your list . That prove what you said in your post. Ha! It works 😀 Thank you!